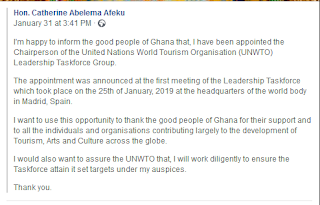 The World Tourism Organization is the United Nations agency responsible for the promotion of responsible, sustainable and universally accessible tourism. 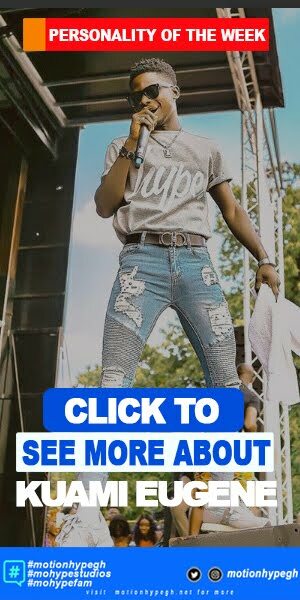 Founded in 1975, the orgasnisation has risen in rank to become the world's leading international organisation promoting tourism for a better world. The organisation has an associated task force which seeks to contribute to the prevention of all potential forms of child exploitation in the tourism sector, be it sexual exploitation, child labour or child trafficking. 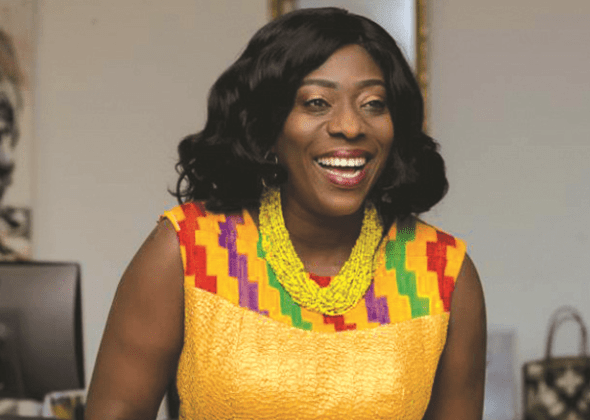 And effective from the month of January, Ghana's Hon Catherine Afeku is the new chairperson for the taskforce. 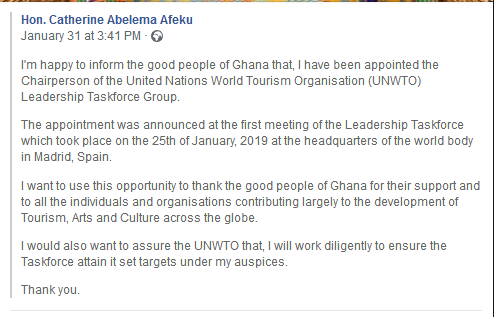 The Honorable minster made this announcement public via her official social media platform signifying her immense contribution to the world tourism caucus, and her resolve to set things running smoothly fro Ghana's tourism sector.